Living life by the California Bay with her family in tow, Madeline Lu isn’t afraid to add a touch of decadence to her photo feed. From cityscapes to epic crepes, Madeline captures exactly what we’re hungry for. 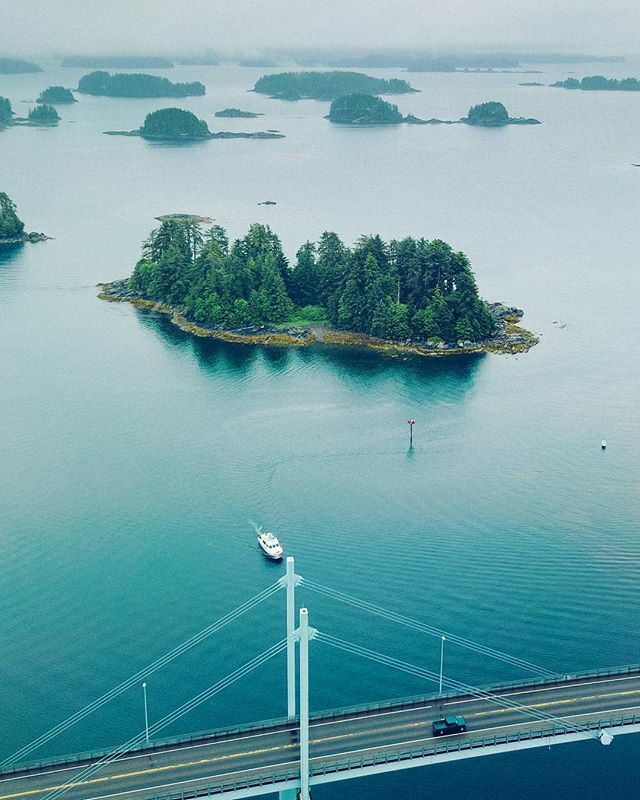 She just returned from an Instagram takeover in Sitka, Alaska as part of Alaska’s Weekend Wanderer series. 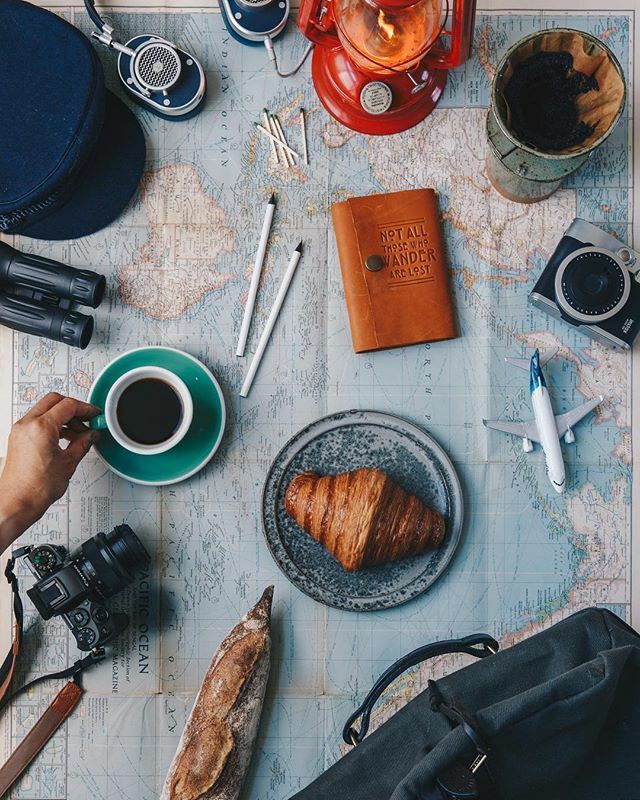 For more Weekend Wanderer posts, be sure to follow Alaska Airlines on Instagram. Sitka is not just a small town, but a hidden gem. It was named one of the 20 most beautiful towns in America by Condé Nast. When we found out we could visit Sitka for a weekend, we did not hesitate for a second. Off we go, packing again! This time we are heading to Sitka in Alaska! Super excited to visit this beautiful little town with @alaskaair. And if you have been there and have some tips for me, pls do share! To reach Sitka from San Francisco, we flew via Seattle, which was such a scenic route. We could not keep our eyes away from the window, as the beautiful mountain peaks poked out of the clouds. The entire flight was very comfortable and pleasant. We loved the extra leg space, the free movies and TV shows, and the friendly and helpful staff. My kids were fascinated by the flight deck and were invited the captain to sit in the captain and first officer’s seats. The crew even let them make a “welcome aboard” announcement to the rest of the passengers. That really made their day! Hi everyone!!! My name is Madeline Lu (@lumadeline) and I’ll be taking @alaskaair Instagram this weekend to show you our family trip to Sitka, Alaska. This is our first time visit Alaska, so excited! Currently, we are transiting in Seattle. It was such a beautiful route from San Francisco to Seattle. I mean, look at this view! Boarding for Sitka now… Stay tuned! The only way to visit Sitka is either by sea or by air. Arriving by air is the best way to appreciate Sitka’s stunning setting. From above, you can clearly see how this small town is situated between the Sisters mountain range and the sea. When the sky is clear, you can see the snow-capped peak of Mount Edgecumbe, a dormant volcano that rises over 3,200 feet. Touch down at the beautiful Sitka! We have been here only for 5 mins, but are already in love! Can’t wait to explore more! Sitka is rugged and wild, and seemingly untouched by the modern world. For us, it was the perfect escape from the busy bustle and tech-packed world. It is also a great place for hikers, hunters, fishermen, runners and climbers. During our three-day stay, we visited the Sitka National Historical Park, the oldest national park in Alaska, which was once a fierce battlefield between the native Tlingit people and the Russians. Nature therapy at the wild and beautiful Sitka, Alaska. This place has been the perfect escape from our normal bustle life. We really took our time to enjoy each place we have been. Feel so relaxed, but energetic at the same time. I think our bodies really needed this. Can’t stop snapping photos! Everywhere we look it is beautiful here in Sitka! We visited Fortress of the Bear, a local rescue center for orphaned grizzly bear cubs and injured bears. We kayaked along the shores of Sitka and saw kelp forests, starfish, jellyfish, eagles and many wild creatures. We heard that a group kayaking a few days prior even encountered whales during their journey – how lucky! 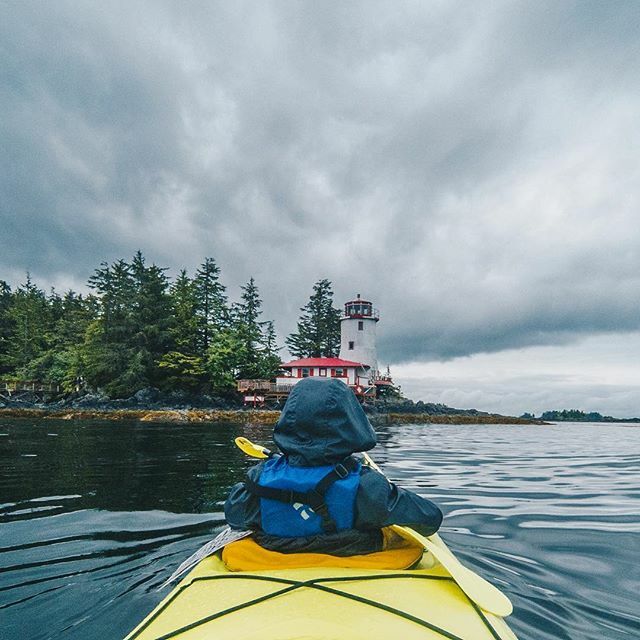 Day three in Sitka, we have found another great day to discover Sitka, Alaska – on a kayak! It is so refreshing and fun! The kids and I enjoyed the impeccable views and loved seeing some star fish in different colors, blue sea urchins, eagles, and etc. Apparently, a group from last week even peddled alongside some humpback whales!!! Maybe next time! 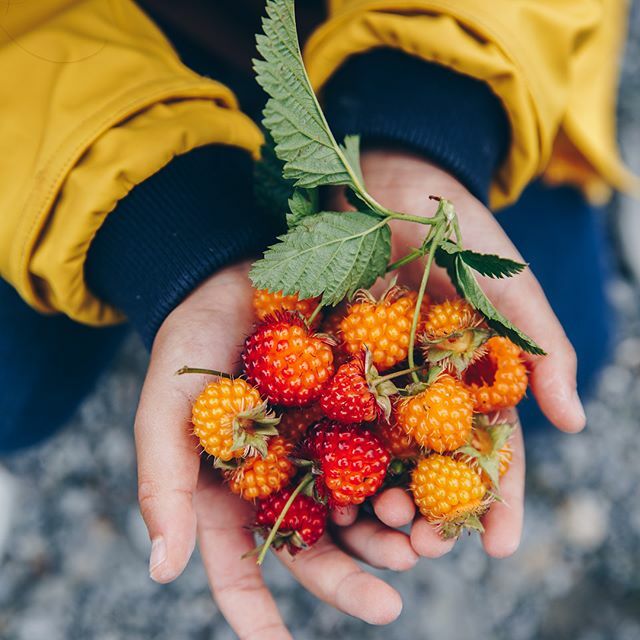 While hiking, we handpicked wild salmonberries along the trail. We have never seen or tasted this wild berry before, and we were totally in love with it. It was so juicy and sweet. A must-do in Alaska, esp. with the kids – picking wild berries! We found these beautiful salmonberries along the road in Sitka that we have never seen or eaten before. They are absolutely delicious! And look at the place where we found them!!! Stunning view of the ocean and the mountains. The kids had so much fun searching for the ripe and sweet red ones! And if you are a keen salmon and crab lover, there is no better place to taste a fresh catch than Sitka. You can tell there is a strong sense of community in Sitka. The locals were very friendly, helpful and open. They made an extra effort to make us feel welcome and comfortable. Good morning everyone! Day 2 of @lumadeline here taking over @alaskaair account to show you our little weekend escape in Sitka, Alaska. First thing first, Acai bowl to start the day! 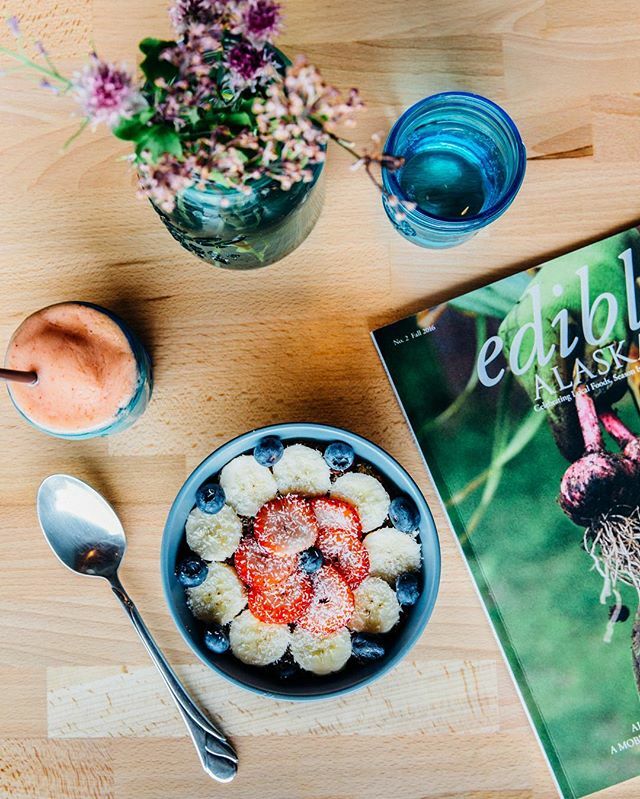 There are many cute little cafes and restaurants here in Sitka, but we particularly like this little organic juice and smoothie place. All in all, it was such a beautiful weekend to visit Sitka and to get a small taste of wild Alaska. I can’t wait to go back and explore more. Photo from above of green forest with gray clouds starting to cover. Is Alaska on your bucket list? It was on mine! So happy to explore beautiful Sitka, Alaska this weekend! Can’t wait to explore more of Alaska in the future! 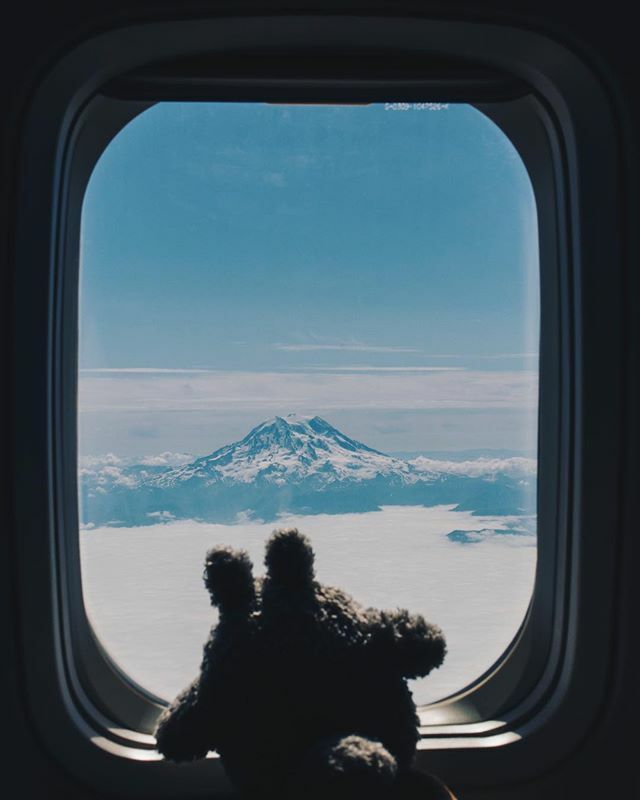 1 comment on "Weekend Wanderer: San Francisco to Sitka"
Lovely all-around spot to visit on the planet – thanks for sharing!